Today I'm going to introduce you to a few more Jewelry Designers showing you even more of the creative range in the art of jewelry design. Enjoy! You saw Jan's crochet work on Day 2. Well, she's a Jewelry Designer, too! 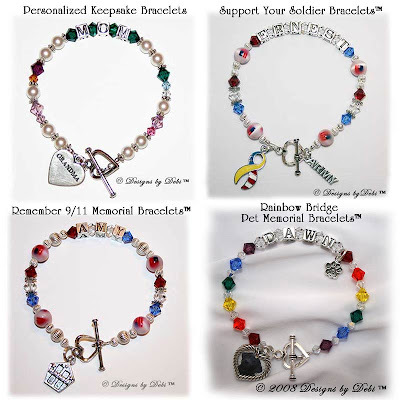 I am a Self Representing Artist Jewelry Designer (SRAJD), Member #2972, and I LOVE Designing and Making my own HandMade Jewelry and Rosaries. 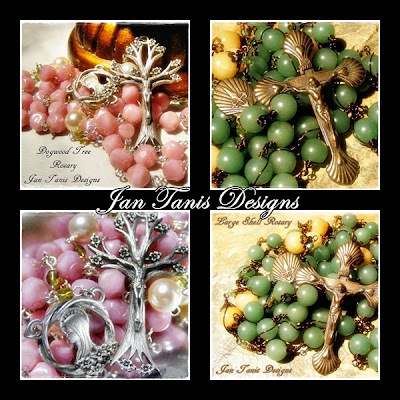 As an Interior Designer, I have had the opportunity to work with Colors and Design, so when I retired from my day job, it was an easy switch to designing and creating Jewelry and Rosaries. My Jewelry is a blend of Old-Fashioned, Romantic and some even say Victorian Styles and my Rosaries would be in that same style. I've always found things to keep me busy and I like that. I've also had a desire to be creative...so why not share some of my God-given talent with others and use my developed talents in another manner. While shopping for beads to make all of my Jewelry and Rosaries, I decided I'd order extras and have them for sale in my Bead Shop, too! I am a Textile Artist also, working in crochet. I like making my warm, snuggly and gorgeous Hats, Scarves, Fingerless Gloves, Shawls (even Prayer Shawls) and Afghans with Acrylic and Polyester yarns. I've recently added a new yarn that is an Acrylic-Polyester Blend with Mohair and Sequins. I've also been a seamstress, for the better part of my life and while having my own Bridal Business for several years, I have sewn everything from Wedding Gowns to Window Treatments…so it only figures that there would be patterns and fabric in my Shop, as well! I am a Self-Representing Artist Jewelry Designer. SRAJD Member #3324. I personally create each beautiful 'one-of-a-kind' (OOAK) necklace or other jewelry item paying great attention to detail and color. 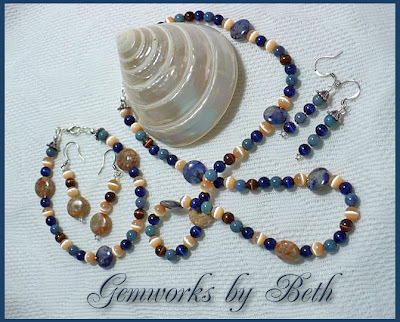 I use only quality Gemstone Beads, Crystals, Pearls, Silver, Copper and Gold, among other high grade beads and materials. I shop for the best quality gemstones, etc. at the best prices. 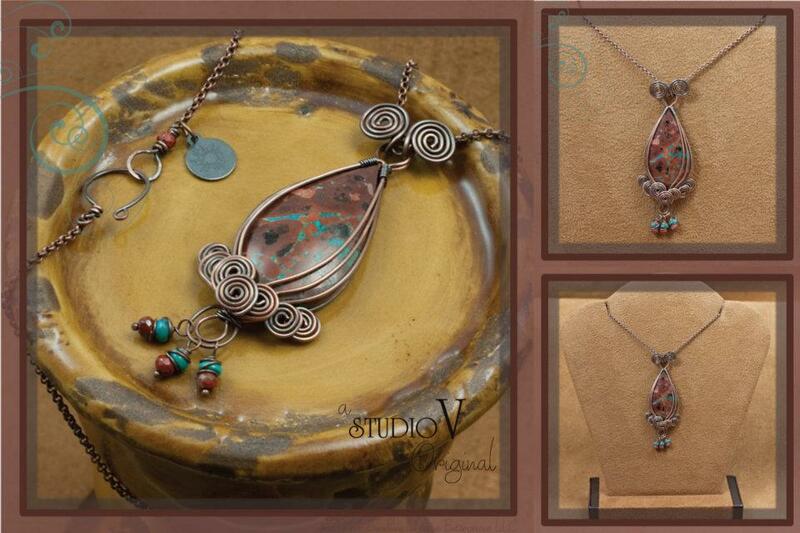 My passion for design and wearable art began at a young age and has been one of the driving forces in my life. It all started in my junior high school shop class, learning to play with fire and hot metal - learning the tools and techniques to make cool jewelry. I started my first design business in 1982 and while time and life has changed with various jobs and careers, my creativity has been the common thread running throughout. Each jewelry piece you find on my site is a one of a kind creation. I select each element, from the type of metal, chain and gemstones often incorporating elements hand made by other artists. May you find something that brings you as much joy to wear as it brought me in creating it. I started making bead bracelets in 2009 after taking a class at a local craft store to fill some time while I was laid off from my job. I built up and inventory and decided to start up a little business using Etsy.com. Even though I work full time now, it is still a passion of mine to have my small business and be successful at it. 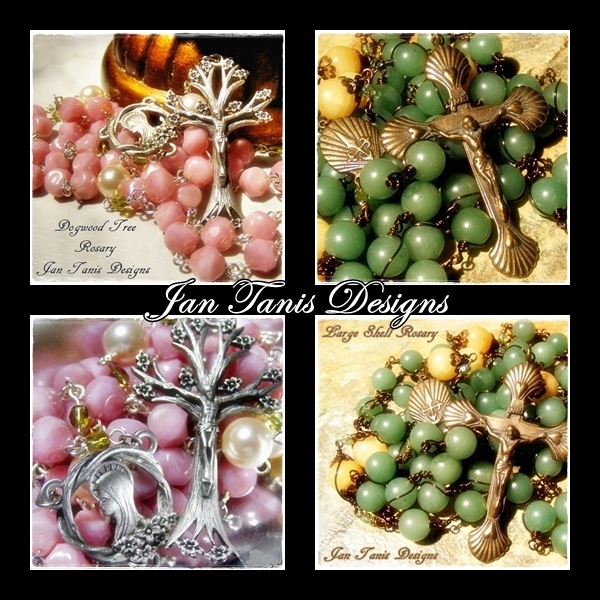 I make handmade beaded bracelets, guitar string bracelets, and button & bead brooches. I am from Central New York State, have a wonderful husband who is very supportive and 2 adorable cats, Dallas and Casey. 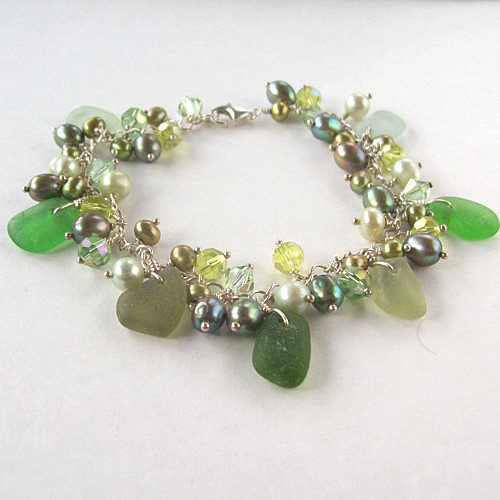 I love collecting and making sea glass jewelry. I think every woman should have a jewelry wardrobe that reflects all facets of her life. My jewelry is inspired by nature. I love the outdoors, and in my spare time I'm an avid fly fisherwoman! And, last but not least, me ~ Debi of Designs by Debi! I started designing jewelry in 2006 and am self-taught. It all began because I like bangle-style bracelets and wanted beaded bangles. I couldn’t find what I wanted so I decided to see if I could make them myself. 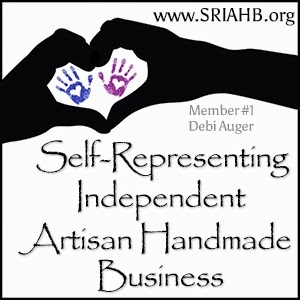 I am a Self Representing Artist Jewelry Designer (SRAJD), Member #2978. My jewelry is a mix of precious and non-precious materials including glass beads,Swarovski® Crystals and Pearls, freshwater pearls, shell, cat’s eye, gemstones and fine silver handcrafted in Bali and Thailand. In order by favorites... I design in silver, copper, gunmetal and gold. I’m fascinated with glass, especially handmade glass. I love using glass artists’ handmade beads in my designs because it makes them unique. And I sometimes make beads using polymer clay. It allows me to produce the colors and patterns that I have in mind for particular pieces, experiment more with my creative side and offer another unique aspect to my jewelry. I have a whole line of personalized jewelry...Personalized Keepsake Bracelets, Support Your Soldier Bracelets™, Rainbow Bridge Pet Memorial Bracelets™, Remember 9/11 Memorial Bracelets™ andAwareness Bracelets for every cause. I have a Signature Collection made with Swarovski® Crystals; anAloha Collection that allows me to celebrate my love for Hawaii, hibiscus, and creating “beachy” designs; and a Hearts Collection made with a variety of Swarovski® Crystal hearts that made its debut at Boston Fashion Week in September 2011. My jewelry has no particular style. True to my Gemini nature, I love variety and get bored easily. I make lots of different things using many different techniques because I just follow my artistic vision...and there are endless beautiful possibilities. I make all types of jewelry and an ever-growing selection of other beaded items. I want to be a Philanthropist. That's my ultimate goal in life. 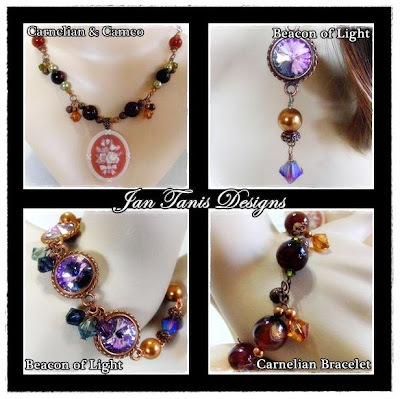 So I’m very proud of my Jewelry for Charity Program for which I design a one-of-a-kind piece or set of jewelry every month to benefit a charity selected by me or one of my customers. I appreciate my customers and the opportunities I have to create beautiful, meaningful jewelry that will be treasured by those lucky enough to receive it. My appreciation is subtly but prominently reflected in my logo...the Designs by Debi™ rose is magenta because dark pink roses symbolize appreciation... Thank You!! Fantastic designs.Great collections.Ornaments are looking gorgeous.Thanks for sharing some more.we will wait for more. Wonderful! So many beautiful items everyone is so talented. Gorgeous designs.... and many of my favorite designers too! Great Day 6! Good luck everyone.... Im off to visit a few of their shops. Cant wait for tomorrow's line up. Love, Love, Love today's feature! 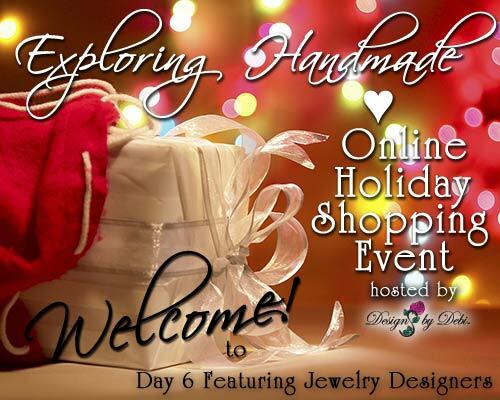 Wow, was it ever eye candy for me,seeing all of the beautiful and special jewelry designs and creations today! Wishing all of you the very best, have a wonderful day! Another wonderful selection of beautiful art! 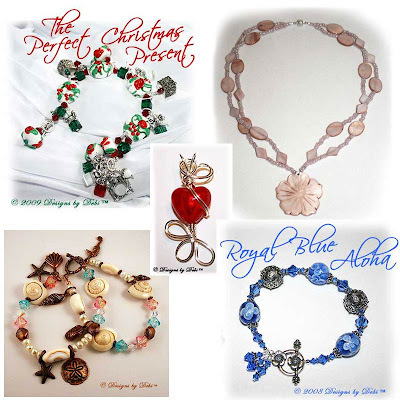 Thanks Debi for putting us in touch with all these creative artists! Just lovely jewels. 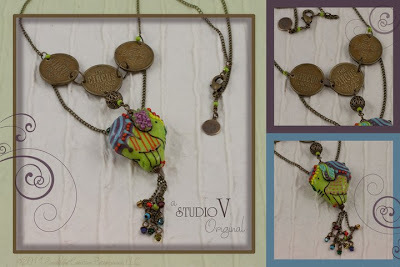 I especially love Vickie Barber-Ellis of Sunshine Jewels creations! So much fun to explore different talents each day...never knew Jan was/is a professional seamstress...I think I just found another resource for those nagging sewing questions I seem to always have! 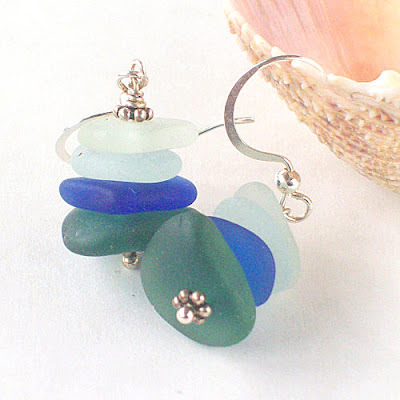 Thanks for including my sea glass jewelry in today's group of jewelry artisans. There is such a wealth of talent and creativity displayed. I hope everyone is busy visiting the shops and adding a few items to their holiday shopping list. I know I am! And Splendid collection of ornaments.i loved it.